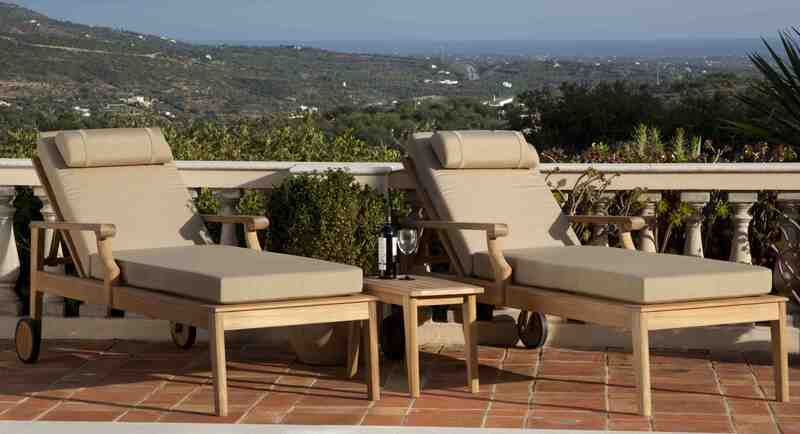 The Chesapeake sun lounger and lounger side table finish off the Chesapeake Teak Range. MOORESTOWN, NJ – Barlow Tyrie, the world’s oldest manufacturer of teakwood outdoor furnishings, continues to create beautiful designs perfect for today’s outdoor living and entertaining. Designs encompass teakwood and shade products, as well as fresh designs in stainless steel and tubular aluminum. Barlow Tyrie outdoor products are made with one of the most cherished luxurious of today’s lifestyle in mind, to truly relax and unwind. Poolside, on the patio or deck, in the garden or overlooking the dunes, Barlow Tyrie’s dedication to design and function creates a product that will enhance those times, offering good-looking, well-made, and most importantly, comfortable outdoor furnishings. 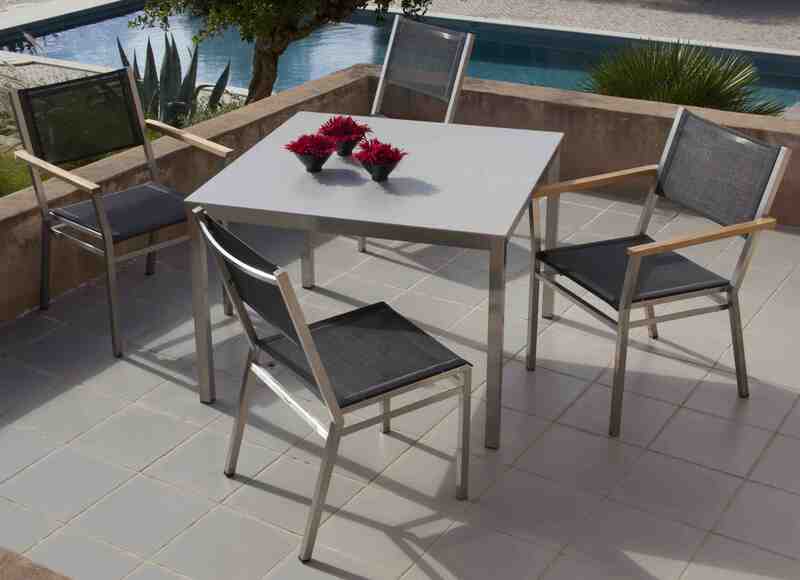 • Chesapeake Teak Range: Designed with the traditional teak buyer in mind. Chesapeake encompasses dining arm and side chairs, a circular dining table for four, a boat-shaped 79-inch rectangular table seating six to eight, and a larger 110-inch rectangular table for a very comfortable ten. Chesapeake deep seating encompasses a thick-cushioned chair and swivel rocker as well as a sofa and new coffee tables. The Chesapeake sun lounger and lounger side table finish off the range. • Equinox Stainless Steel Tables with Italian Ceramic Tops: The award-winning Equinox range has been expanded to include table tops made from Italian ceramic. Available in Ash and Ivory colors, the range offers various sizes in circular, square, and rectangular tables and finishes off with the just released extending table (94 inches closed to 142 inches open) which seats 10 to 14. The Laminum ceramic tops are fully weatherproof, being made from a product originally intended to clad buildings. All frames are made from durable 316 marine grade stainless steel.